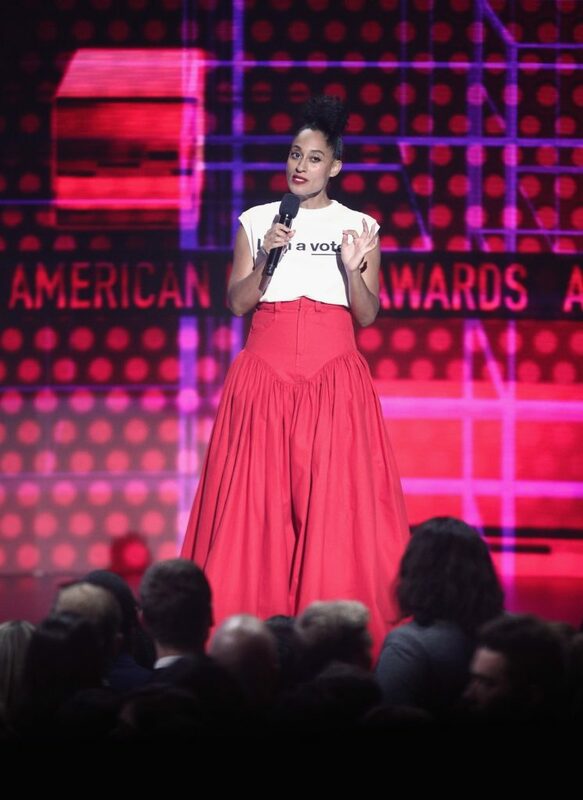 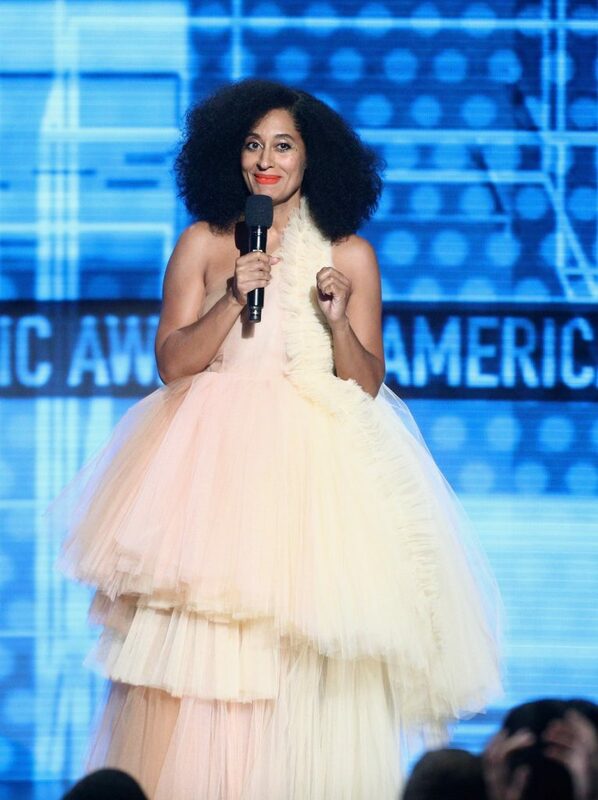 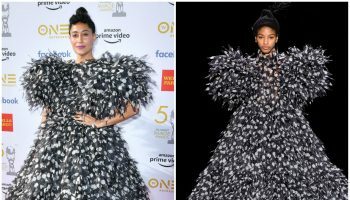 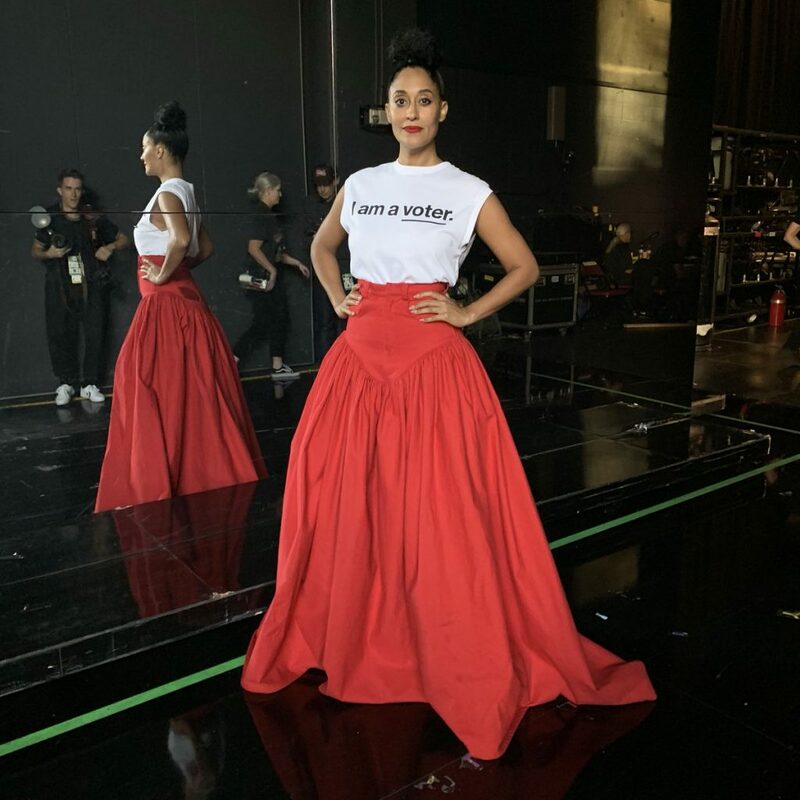 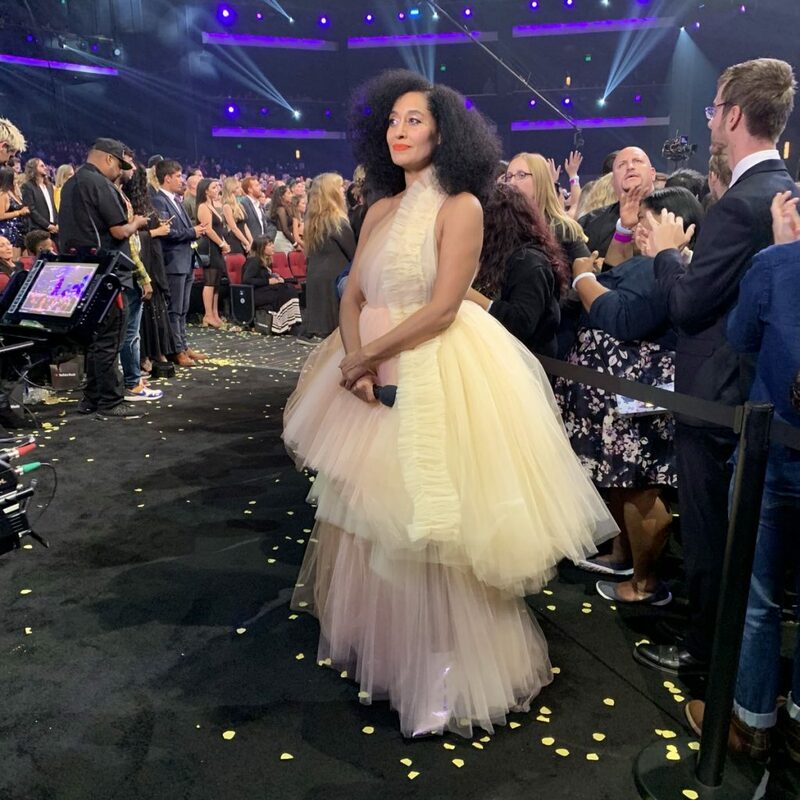 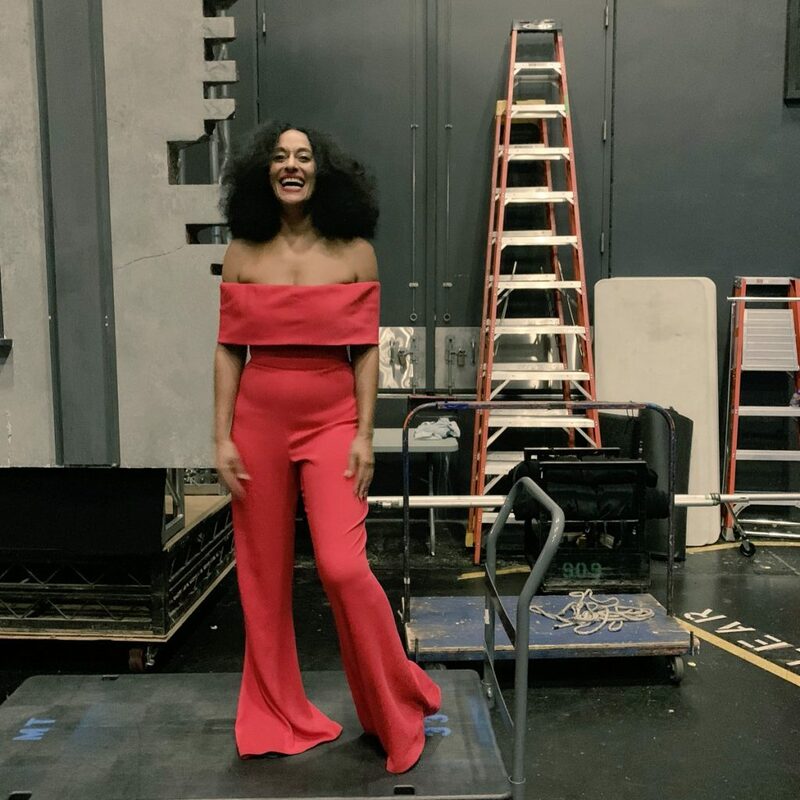 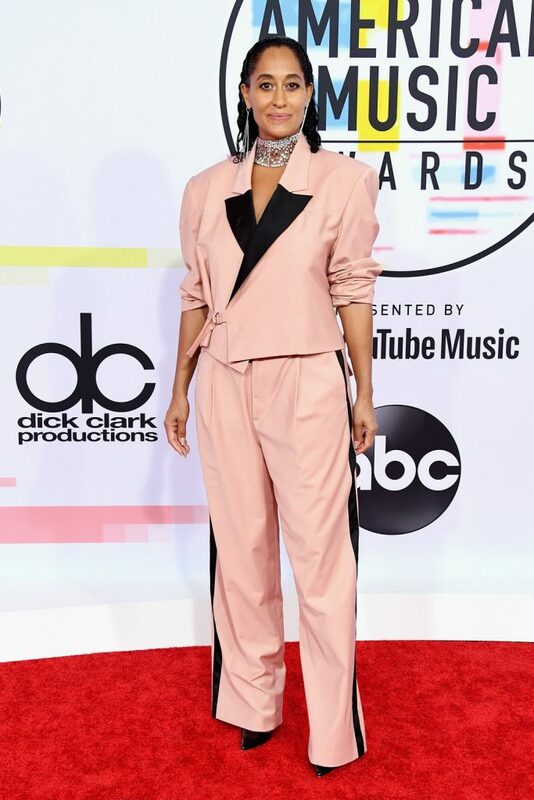 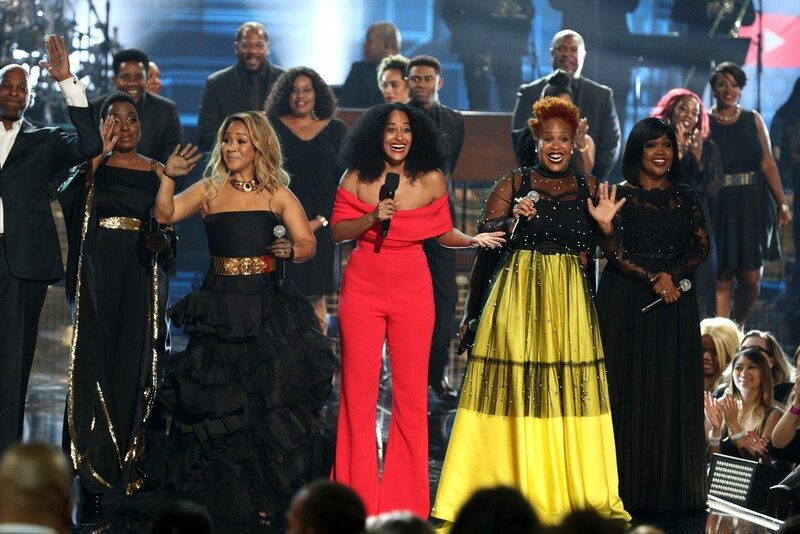 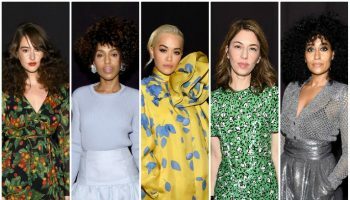 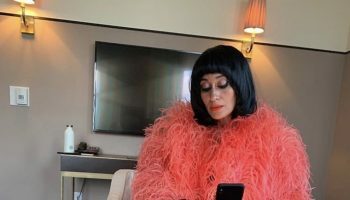 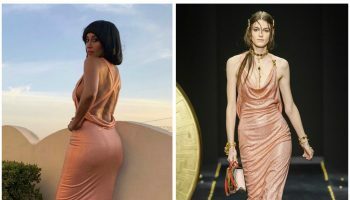 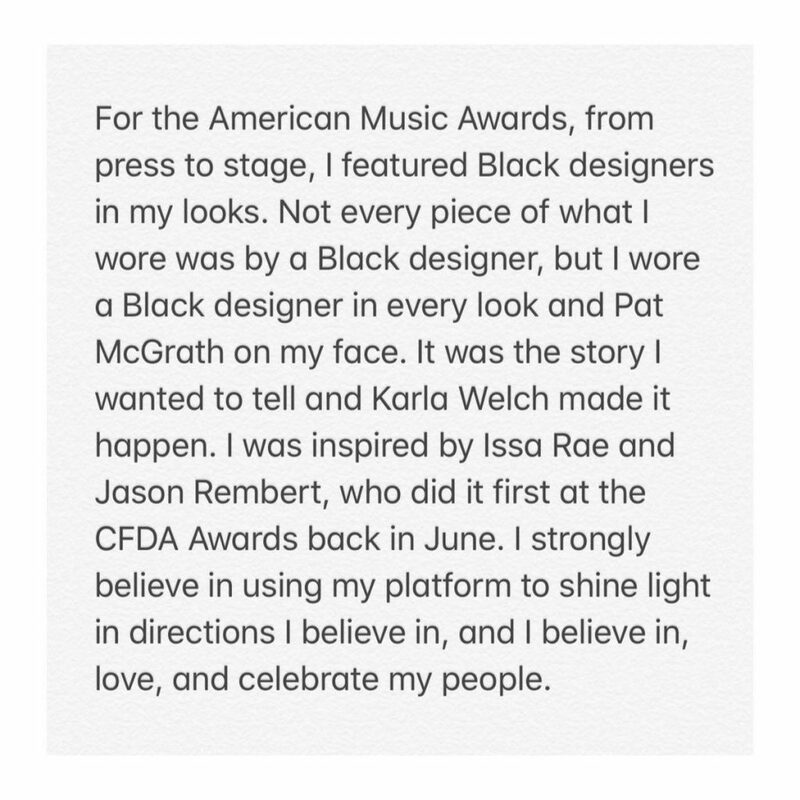 Tracee Ellis Ross hosted the 2018 American Music Awards on Tuesday (October 9) at the Microsoft Theater in Los Angeles. 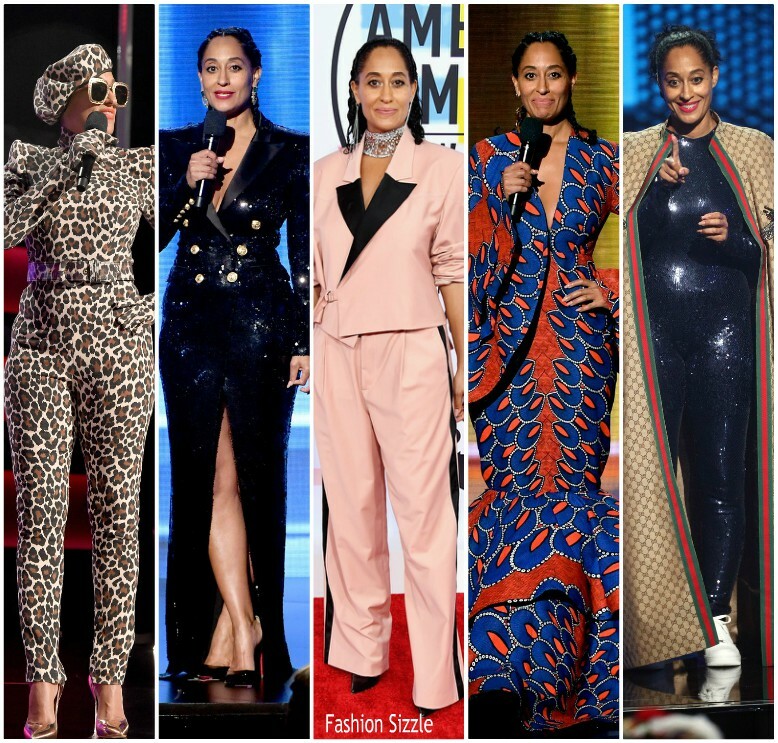 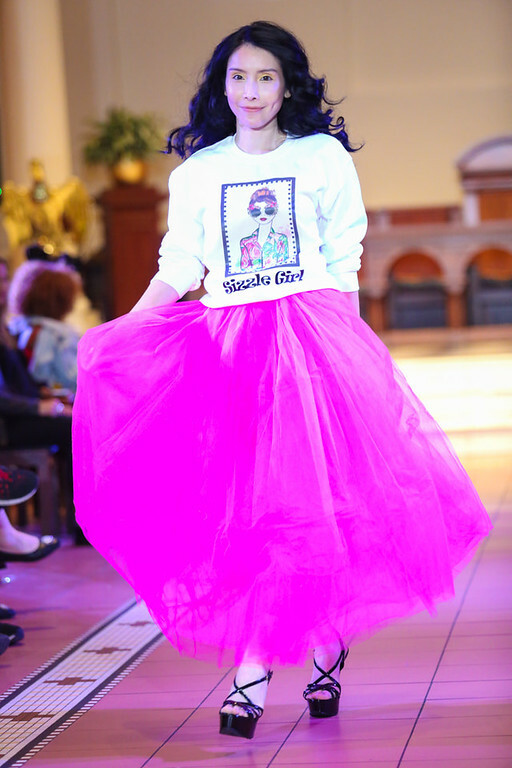 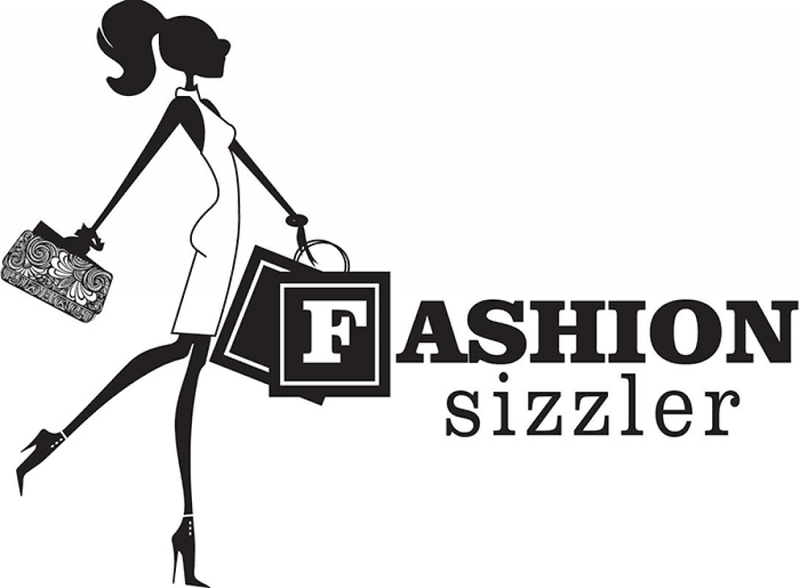 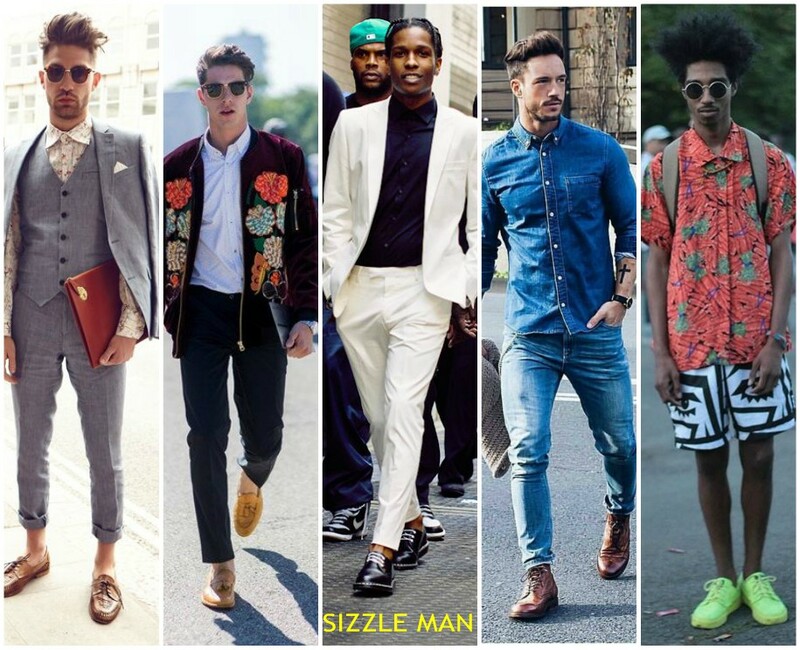 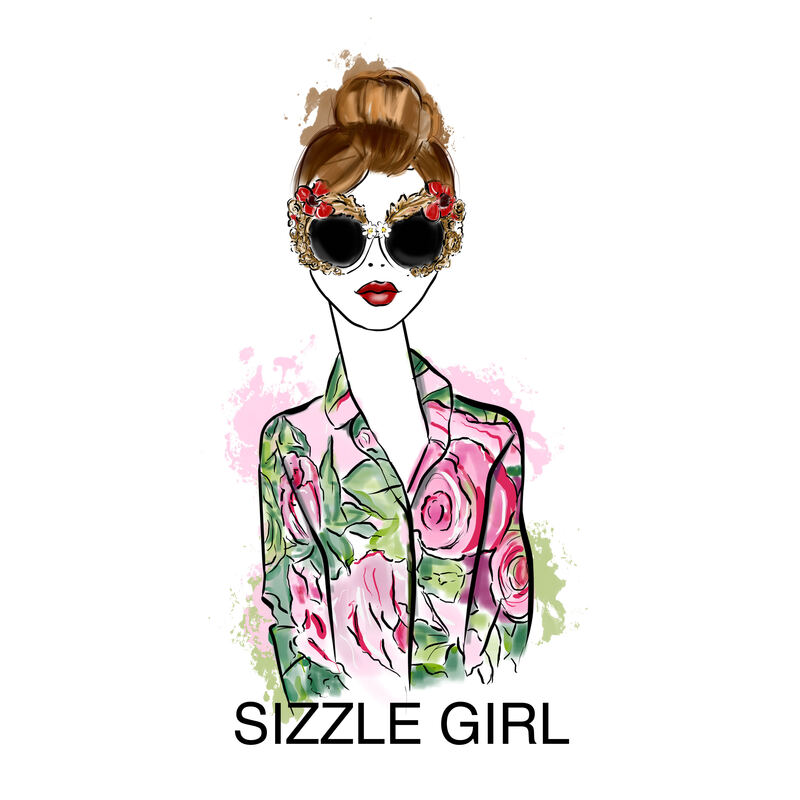 Below are the outfits she wore while hosting. 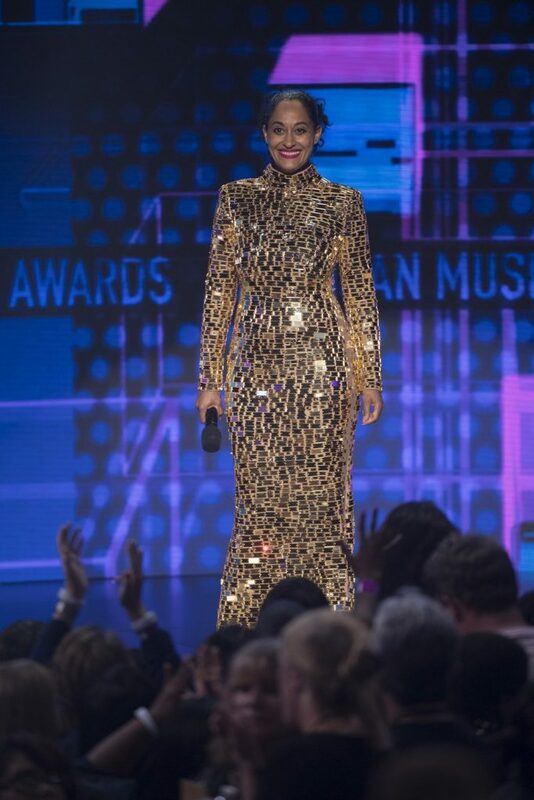 Tracee wearing a black Balmain by Olivier Rousteing dress. 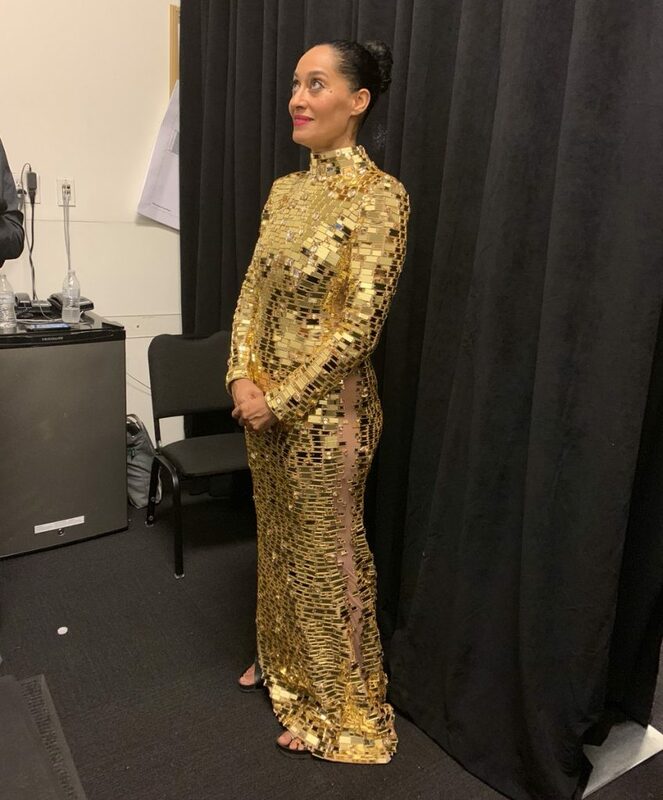 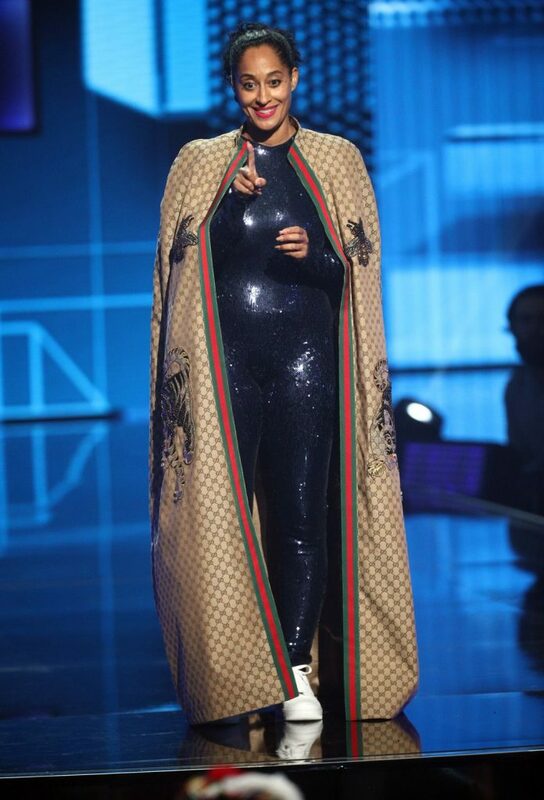 Tracee opened the show wearing Dapper Dan for Gucci styled with a black Nicolas Jebran sequin jumpsuit. 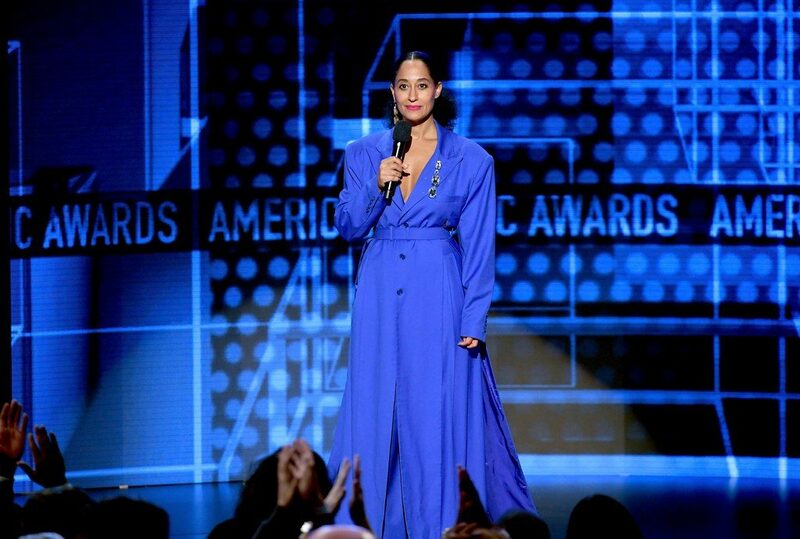 Tracee wearing a Blue Deshon dress.